What is European Joomla 3.9.4 Hosting? Joomla! Is an award-winning Content Management System (CMS), which allows you to create web sites and online applications. 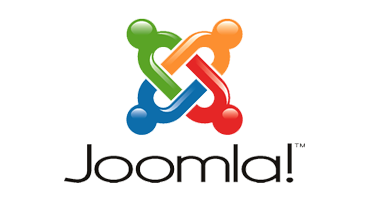 Many aspects, including its ease of use and extensibility, the Joomla! The most popular web site software available. Best of all, Joomla! Is an open source solution that is freely available for everyone. A Content Management System is a software that allows any content on your site, such as your local public library pursues books and stores it. Content may be simple texts, photos, music, videos, documents, or just about anything you can imagine. A major advantage of the use of a CMS is that it requires almost no technical skills or knowledge to manage. Since the CMS manages all content, you don't have to. Why Choose HostForLIFE.eu for Joomla 3.9.4 Hosting? Try our Free Joomla 3.9.4 Hosting today and your account will be setup soon! You can also take advantage of our Windows & ASP.NET Hosting support with Unlimited Domain, Unlimited Bandwidth, Unlimited Disk Space, etc. You will not be charged a cent for trying our service for the next 3 days. Once your trial period is complete, you decide whether you'd like to continue.